PILATES MIGHT JUST BE THE WELL-BEING ACTIVITY YOU NEED! One of my very favourite ways to take care of myself is to practice Pilates. I go to a class at my local village hall on a weekly basis. It’s just an hour each week but it’s my hour. I don’t have to share it or think about anyone else except for myself. And as well as being good for my body, it’s good for my mind. Good to switch off and concentrate on nothing but stretching and breathing for an hour. Plus it gives me a sense of self. In that hour I am nobody’s wife or mother. I have no label or a title. I am just me. 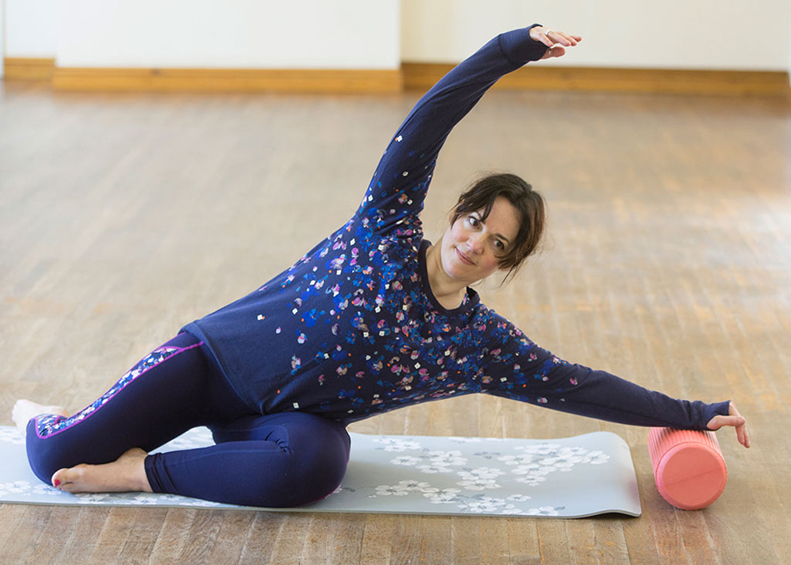 But aside from giving me a fabulous sense of well-being, Pilates has also been instrumental in lessening the back pain that I suffered from for years. 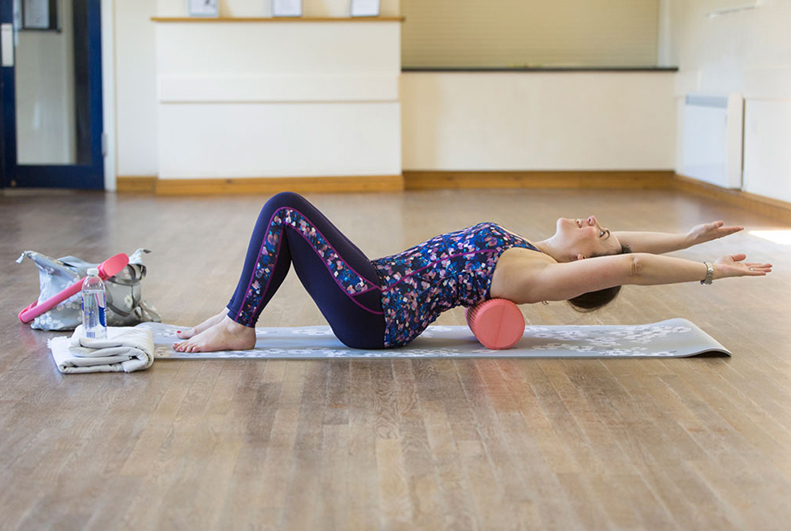 It’s a brilliant way of strengthening the body; increasing core strength, bone density and improving posture. It’s also a great form of exercise for both woman and men, young and old — in our class we have ages ranging from teens to adults. The other thing I love about it is the fact that you can practice at home, with very little equipment. 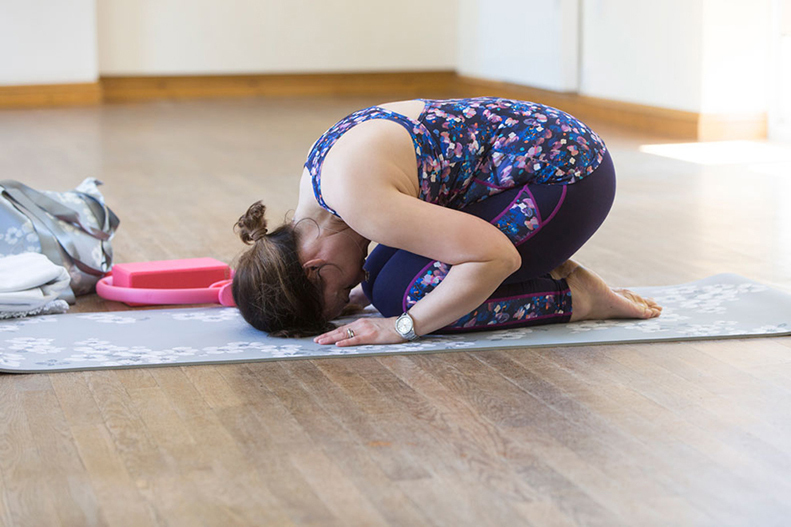 To begin with I used to use a rolled up towel under my head but you can invest in some very simple tools to make practicing Pilates even more effective. Here’s a little round up of my favorite essentials. Unless you’re going to a studio and using a Pilates reformer, you’ll be practicing Pilates on the floor so a mat is a great investment. A BAG TO CARRY IT IN! 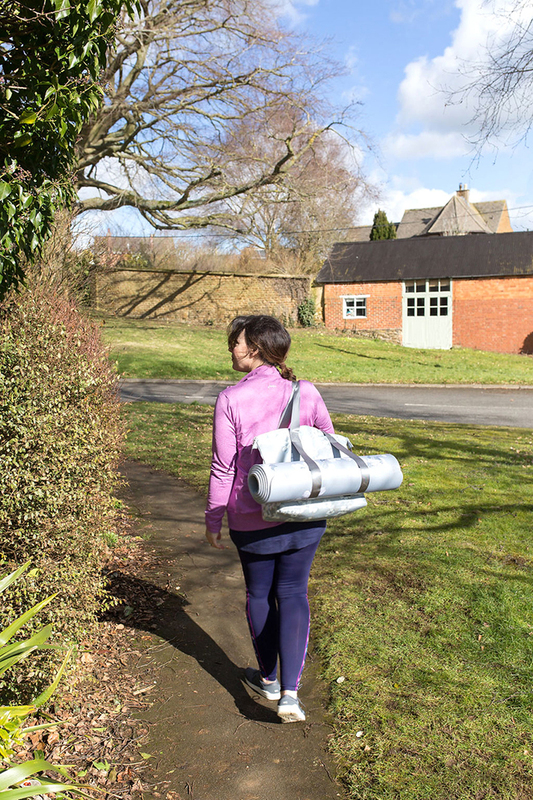 It sounds obvious, but mats are quite long and difficult to carry, so to have a bag that’s specially designed to carry them is essential. 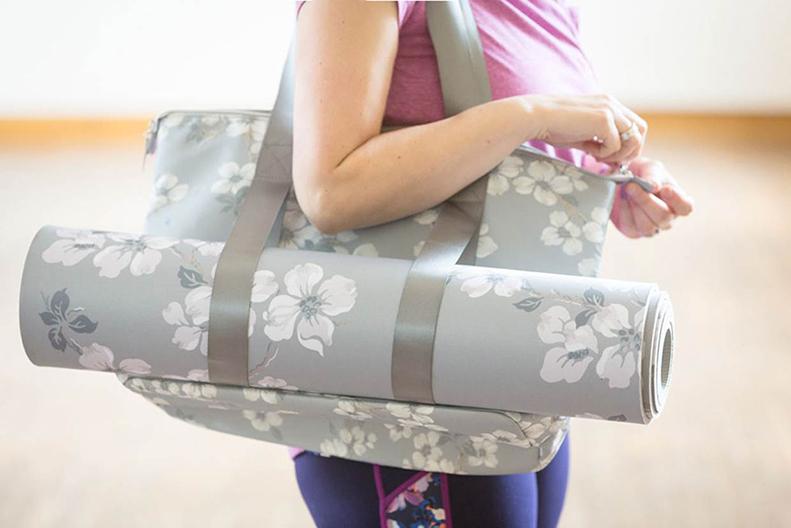 I love this Iona Gym Bag with Yoga Mat Holder as it carries everything I need when I go to my Pilates class or to the gym. On the days when I don’t go to class, I love to practice my Pilates moves at home, using the equipment that I’ve acquired over the years and contrary to the article I read, I probably spend a little longer than 17 minutes doing my stretches each day. Our health and well-being should be a priority, when we’re spinning so many plates. In these hectic times, taking care of our bodies and minds shouldn’t be an afterthought. After all, as the saying says, ‘you can’t pour from an empty vessel’. Thanks Caro, we’ll definitely be getting our Pilates practice in now! Do you allow yourself some ‘me time’ each day? Let us know below or on Twitter @LauraAshleyUSA. This entry was posted in Favourite Posts and tagged athleisure, exercise, exercise mat, fashion, fashion blogger, fashionista, gym bag, health and wellness, laura ashley usa, pilates, pilates bag, pilates mat, self-care, the twinkle diaries, yoga, yoga bag, yoga mat. Bookmark the permalink.